The past couple years haven’t been too good for us Mega Man fans. After the cancellation of Mega Man Legends 3 way back in 2011 and the following announcement of Mighty No. 9 from Comcept, Capcom seemingly had no response to, well, anything. Mega Man laid dormant for years, until the recent release of Mega Man Legacy Collection and Mega Man Legacy Collection 2. With the releases of those two games, hope began to seep through. And now, our prayers have been answered! Last week Capcom began teasing a big announcement that would be revealed during the Mega Man 30th Anniversary Livestream. This alone was enough to rile fans up, but things got even crazier when the official Nintendo and Sony twitter accounts retweeted the announcement. Could it be?! Yes! Surely enough, during the livestream that happened today, we got not one but TWO new Mega Man games, both of which we are very excited for! First and foremost is the surprise announcement of Mega Man 11 for Switch, PC, PlayStation4, and Xbox One! 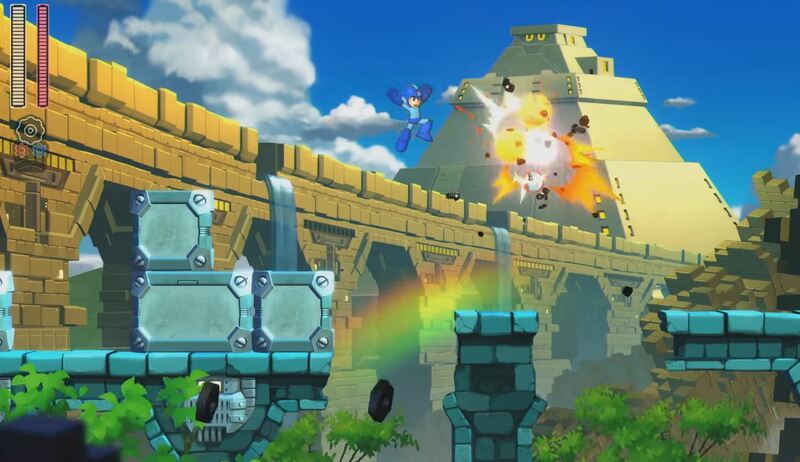 Unlike Mega Man 9 and 10, Mega Man 11 isn’t a retro throwback – instead it’s opting for a new colorful 2.5D look. Check out the trailer! The second announcement is a big treat for the X fans! All eight games in the Mega Man X series (yes, that’s including the infamous Mega Man X7) are coming to the Switch, PlayStation 4, Xbox One, and PC! However, we’re not entirely sure if this is going to be a collection. One would assume that considering this game is coming after the Legacy Collection games, but the actual tweet never once mentions the word “collection”. Hopefully we’ll get some confirmation at a later date! With all that said, today’s been a big day for the blue bomber. As long time Mega Man fans ourselves, we’re extremely happy and excited that he’s finally back in the spotlight. Both Mega Man 11 and the X series games will be coming in 2018, so stay tuned for more info!